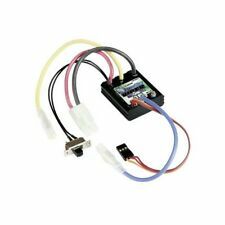 Mtroniks Viper Marine 15Amp Speed Controller,BEC ,for model boats low price! BUY FROM THE EXPERTS OVER 75 YEARS IN THE HOBBY TRADE! 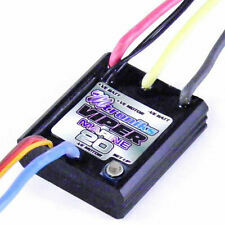 5 out of 5 stars - Mtroniks Viper Marine 15Amp Speed Controller,BEC ,for model boats low price! 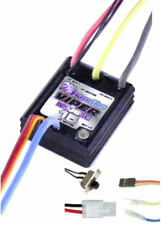 6 product ratings6 product ratings - Mtroniks Viper Marine 15Amp Speed Controller,BEC ,for model boats low price! Mtroniks Sport Tuned 20 ESC. Ideal for upgrading your standard speedo so that it's waterproofed and can take a higher power motor. SUITS ALL TAMIYA (AND SIMILAR) CARS WITH EITHER THE STANDARD SILVER MOTOR, THE SPORT MOTOR, OR ANY MOTOR RATED AT 20 TURNS OR HIGHER (21, 25 etc). 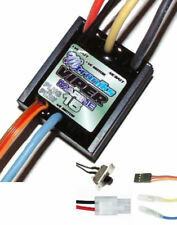 Mtroniks Viper Marine 15 Plug and Play ESC. 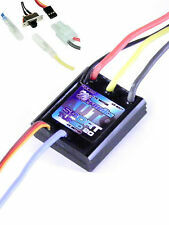 Plug and Play ESC so no setting up required! Designed for RC Model Boats. 1 x Tamiya Male (Battery). Forward and Reverse. However, this will only apply where the item has been subject to normal usage and has not suffered any form of misuse. The Mtroniks 'Power M600' brushed motor is currently the largest motor in the new line of brushed motors for model boats from Mtroniks. Mtroniks M600 brushed motor. Our popular Mtroniks range includes. All Mtroniks mixer modules are 100% waterproof. 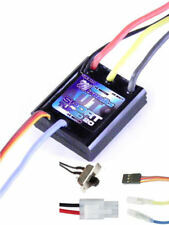 The VTail mixing module is designed for use in RC models where you want to mix two seperate signals such as throttle and steering. Mix two channels. 100% Waterproof. The Mtroniks 'Power M500' brushed motor is the middle motor in the new line of brushed motors for model boats from Mtroniks. Mtroniks M500 brushed motor. Our popular Mtroniks range includes Brushed model boat motor. The Mtroniks 'Power M400' brushed motor is the smallest in the new line of brushed motors for model boats from Mtroniks. Mtroniks M400 brushed motor. Our popular Mtroniks range includes Running at 12V, at maximum efficiency, the M400 will run at around 10000RPM and pull around 1Amp. 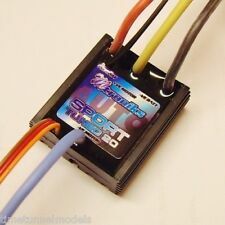 The WTail mixing module is designed for use in RC models where you want to mix two seperate signals such as throttle and steering. The WTail mixer also has two extra outputs to allow you to connect up a rudder and a further centrally mounted motor. The Mtroniks 'Power M400' brushed motor is the smallest in the new line of brushed. motors for model boats from Mtroniks. Running at 12V, at maximum efficiency, the M400 will run at around 20,000 RPM. Unit has no connectors, just wire ends and no power switch, needs to be powered off by disconnection from cells. Our popular Mtroniks range includes 20A Brushed motor limit. Motor Short circuit protection Yes. Forwards and reverse. Set up Auto 'Plug n Play'. 6 to 12V Operation. Battery Type NiCAD/NiMH/Lead Acid. The Mtroniks 'Power M500' brushed motor is the middle motor in the new line. of brushed motors for model boats from Mtroniks. Running at 12V, at maximum efficiency, the M500 will run at around 16500RPM. Our popular Mtroniks range includes 20A Brushed motor limit. Motor Short circuit protection Yes. Forwards and reverse. Easy one touch set up. Motor Type Brushed. Set up Digital 1-touch. UK base rate. Our popular Mtroniks range includes 15A Brushed motor limit. Motor Short circuit protection Yes. Forwards and reverse. Easy one touch set up. Motor Type Brushed. Set up Digital 1-touch. UK base rate.